The 2018 Summer Youth Olympics (Spanish: Juegos Olímpicos de la Juventud de 2018), officially known as the III Summer Youth Olympic Games, and commonly known as Buenos Aires 2018, were an international sports, cultural, and educational event held in Buenos Aires, Argentina between 6 and 18 October 2018. They were the first Summer Youth Olympic Games held outside of Asia (also first in the Southern and Western Hemispheres), and the first Youth Games for either summer or winter held outside Eurasia. It was the second Olympic Games held in South America after the 2016 Summer Olympics in Rio de Janeiro, Brazil. Six bids were initially submitted for the 2018 Summer Youth Olympics. Buenos Aires confirmed their bid in September 2011. On 13 February 2013, the IOC selected Buenos Aires as one of the three Candidate Cities for the 2018 Summer Youth Olympic Games. The other two candidate cities were Glasgow and Medellín. Guadalajara and Rotterdam failed to become candidates. Poznań withdrew their bid before the candidate cities were selected. In October 2013, International Olympic Committee (IOC) President Thomas Bach appointed Namibian sprinter and four-time Olympic silver medalist Frank Fredericks as Chairman of the Coordination Commission for the 3rd Summer Youth Olympic Games — Buenos Aires 2018. Fredericks was heading the six-person IOC Coordination Commission made up of several Olympians including Danka Bartekova, the youngest IOC Member and Young Ambassador from the inaugural Youth Olympic Games in Singapore in 2010. This commission was completed by two other IOC members, China's Li Lingwei, winner of three World Badminton Championships, and Barry Maister, a member of New Zealand's hockey team that won the Olympic gold medals at 1976 Summer Olympics in Montreal; and Adham Sharara, Canadian President of the International Table Tennis Federation, and Henry Nuñez, head of the National Olympic Committee of Costa Rica. Working along with them there was the Buenos Aires Youth Olympic Games Organising Committee (BAYOGOC), that includes member of the Argentine Olympic Committee (AOC), the local government and the national government, and which CEO was Leandro Larrosa. The local organising committee involves young people in all levels of the organization; including an ‘Athlete Commission’ and a newly established ‘Youth Commission’ – a group of young consultants chosen by the AOC from local schools and universities – and the employees within BAYOGOC from junior to director level. The first Coordination Commission meeting took place in Buenos Aires on 27–28 September 2014. During June 2015 a small delegation from Nanjing Youth Olympic Games Organizing Committee (NYOGOC) visited Buenos Aires for a series of debriefing workshops and seminars to pass on their expertise focusing on strategic decisions to be made in the early stages such as legacy, the use of the YOG to impact youth and sport, and benefits of the YOG to engage communities. The CEOs of Singapore 2010, Lillehammer 2016 and Innsbruck 2012 also took part of these meetings that were presided over by Frank Fredericks. Football player and Olympic gold medalist Lionel Messi, originally not from Buenos Aires but from Rosario, was named as an ambassador of the 2018 YOG in March 2014, and he delivered a video welcoming message for the young athletes to Buenos Aires during the closing ceremony of the 2014 Summer Youth Olympics. In December 2015, the four-time olympic medalist Luciana Aymar was also named as an ambassador of Buenos Aires 2018. In July 2017, Olympic gold medalist Luis Scola was named ambassador of the 2018 YOG. Joining the Olympic programme for the first time at Buenos Aires 2018 were BMX freestyle, kitesurfing, cross country running, beach handball, sport climbing, karate, breakdancing, and roller sports; and the event programme saw an increased gender balance. FIFA also decided to replace football with futsal at the Buenos Aires Youth Olympics, while other sports such as skateboarding were being considered for the programme. Roller speed skating was added to the Olympic programme on 17 March 2017. Three years before the event, a survey showed that public support had reached 82.3 percent in favour of the Youth Olympic games in Buenos Aires. During the second visit of the International Olympic Committee's Coordination Commission to the city, on 13 and 14 August 2015, Mr. Fredericks highlighted the implementation of 13 of the recommendation of the Agenda 2020 by BAYOGOC. The original plan was based on the bid for the 2004 Summer Olympics, in which a 15 km long Olympic Corridor would have worked instead of a more concentrated Olympic Park. For the Buenos Aires bid for the 2018 Summer Youth Olympics the Olympic Corridor was adapted into a Green Corridor, one of the two main sports zones as the primary sites of the Games in Buenos Aires 2018, being the other one Parque Roca, to the south of the city. The Green Corridor and the Olympic Corridor shared River Plate Stadium, Tiro Federal, Gimnasia y Esgrima de Buenos Aires, Parque Tres de Febrero, La Bombonera, La Rural and CeNARD as venues. In order to group the sports in a more compact framework, in September 2014 a new four-clusters concept was revealed, dropping out venues such as La Rural. It was announced then that each cluster will include an area called YOG FEST where sporting experiences, family entertainment and cultural activities will take place. But at the 129th IOC Session, in August 2016, a new venues masterplan was presented, including two new stand-alone venues, adding La Rural once again and replacing Parque Sarmiento with Tecnópolis. The International Olympic Committee members stayed at the Sheraton Hotel, located in the district of Retiro and close to Retiro railway station, one of the most important transportation hubs in Buenos Aires. After numerous changes, in February 2018, it was presented the definitive venues plan. The Opening Ceremony was held at the Obelisco de Buenos Aires. Adjacent to downtown Buenos Aires and stretching three kilometres along the scenic banks of the River Plate, this area was distinguished by swathes of parks. It included the barrios of Núñez and Palermo. The Palermo Woods, a highly popular retreat for porteños and visitors alike, was the triathlon and cycling venue. Venues located in Núñez can be reached by Belgrano Norte Line (at Ciudad Universitaria railway station) or by nearby Mitre Line (at Núñez Station) or Buenos Aires underground Line D (at Congreso de Tucumán Station). Venues located in Palermo can be reached by Mitre Line (Tres de Febrero and Lisandro de la Torre station). Located to the South of Buenos Aires, Roca Park is a vast area of 200 hectares in the district of Villa Soldati, a neighborhood that has been targeted by the local Government in need of urban development. One of the greenest areas in the metropolis, it is adjacent to the City Park and the Buenos Aires Automotive Racetrack. The Park, inaugurated in the 1980s, has many sports venues and recreational facilities, including the iconic Roca Park Athletics Stadium and the Roca Park Tennis Stadium. This area was also the site of the Youth Olympic Village (YOV), from where 65 percent of the athletes were able to walk to their competition venues, and after the event it will become the new location for the CeNARD. The Parque Polideportivo Roca was fully renovated before the 2018 Summer Youth Olympics in order to be used as main Olympic Park. Six pavilions were built: Asia Pavilion (judo and wrestling), Africa Pavilion (fencing and modern pentathlon), Europe Pavilion (karate and weightlifting), Oceania Pavilion (boxing and taekwondo), America Pavilion (gymnastics) and natatorium. The complex also includes hockey and athletics field. Olympic Park can be reached by Premetro tram at Cecilia Grierson station, or by the southern Metrobus line. Roca Park is next to the City Park, where the Youth Olympic Village was built, and where the 200 meters high Space Needle is located. Located to the east of the city, this cluster occupies a significant portion of the Río de la Plata riverbank and includes the old Puerto Madero docks as venue for water sports. Rowing competitions were held over 500 metres rather than the usual 2,000 metres. 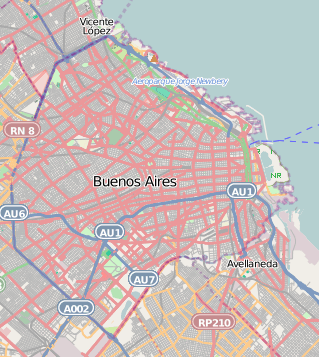 This area can be reached by Buenos Aires Underground lines A, B, D and E.
Located west of the city and next to the General Paz Avenue which marks the limit of Buenos Aires city, the 50 hectares science, technology, industry and art mega exhibition Tecnópolis was inaugurated in 2011 and was the venue for four sports competitions. This area can be access by Mitre Line Railway at Migueletes station or by Belgrano Norte Line at Saavedra or Padilla stations. The opening ceremony of the 2018 Summer Youth Olympics was held at the Obelisco de Buenos Aires on 6 October 2018 at 20:00 (8 PM) Argentina Time. The 2018 Summer Youth Olympics featured 239 events in 32 sports. A total of 206 countries sent at least one athlete to compete in the Games. Kosovo and South Sudan made their Youth Olympics debut. The schedule for the 2018 Summer Youth Olympic Games was released on 9 May 2018, exactly 150 days before the starting of the games on its official website. The closing ceremony of the 2018 Summer Youth Olympics was held at the Youth Olympic Village on 18 October 2018. The Olympic flag was handed over to the next host city, Senegalese capital Dakar for the 2022 Summer Youth Olympics. The official emblem of the 2018 Summer Youth Olympics was presented in July 2015, three years before the games. The emblem reflects the diversity of Buenos Aires and it is inspired by the city's vibrant colours, eclectic culture, iconic architecture and the many neighbourhoods that make up the Argentine capital. Each letter represents a famous landmark, including the Floralis Genérica, Space Tower, the Columbus Theatre, the National Library and the Obelisk. A short video produced by the Buenos Aires Youth Olympic Games Organising Committee (BAYOGOC) shows what each letter on the emblem relates to. The slogan of these games is "Feel the Future" was unveiled on 8 April 2018. The olympic mascot of these games was unveiled on 29 May 2018. The mascot is a young Jaguar, its name "Pandi" is a combination of the scientific name of the species (Panthera onca) and the relationship of the mascot with the "digital world". The president of the Buenos Aires 2018 Organising Committee, Gerardo Werthein, said that the mascot "seeks to inspire young people on the transformative power of Olympism and sport". The mascot was created by the Argentine agency Human Full Agency with direction of Peta Rivero y Hornos. While the animation short was made by the local production company Buda TV. The official song of Buenos Aires 2018 is Alive, performed by Candelaria Molfese and Fernando Dente. It was produced by Radio Disney. The name of the song in Spanish is "Vamos Juntos" ("Let's go together"), which was also the name of the governing coalition for the 2017 legislative elections in Buenos Aires city. ^ ""Viví el futuro", el lema de Buenos Aires 2018". buenosaires2018.com (in Spanish). buenosaires2018.com. Archived from the original on 9 April 2018. Retrieved 9 April 2018. ^ "Buenos Aires, Argentina to bid for 2018 Youth Olympic Games". GamesBids.com. Archived from the original on 6 January 2012. Retrieved 2011-09-16. ^ "IOC shortlists three Candidate Cities for 2018 Summer Youth Olympic Games". Olympic.org. 13 February 2013. Retrieved 29 May 2014. ^ "Buenos Aires elected as Host City for 2018 Youth Olympic Games". Olympic.org. Retrieved 29 May 2014. ^ "IOC announces composition of Tokyo 2020 and Buenos Aires 2018 Coordination Commissions". Olympic.org. Retrieved 16 October 2013. ^ "Fredericks appointed head of Buenos Aires 2018 IOC Coordination Commission". Duncan Mackay. Retrieved 16 October 2013. ^ a b "Buenos Aires 2018 vows to bring sport to the inner city". Olympic.org. Retrieved 28 September 2014. ^ "Nanjing 2014 hands over the baton to Buenos Aires 2018". Olympic.org. Retrieved 25 June 2015. ^ "Messi to be official face of 2018 Youth Olympics in Buenos Aires". Inside the Games. Retrieved 15 March 2014. ^ "Lionel Messi invitó al mundo para los próximos Juegos Olímpicos de la Juventud en 2018". Canchallena.com. Retrieved 28 August 2014. ^ "Hockey legend Luciana Aymar announced as an Ambassador for Buenos Aires 2018". Olympic.org. 7 December 2015. ^ "Olympic basketball champion Scola named Buenos Aires 2018 ambassador". ^ a b "Roller speed added to the Buenos Aires 2018 event programme!". Olympic.org. 17 March 2017. Retrieved 18 March 2017. ^ "Innovation and increased gender balance at the Buenos Aires 2018 Youth Olympic Games". Olympic.org. Retrieved 31 July 2015. ^ a b Liam Morgan (21 February 2016). "Exclusive: Skateboarding among sports being considered for inclusion at Buenos Aires 2018". Inside the Games. Retrieved 18 November 2018. ^ "A new sport was added to Buenos Aires 2018 event programme: Roller Speed". Buenos Aires 2018 on Twitter. 17 March 2017. ^ "Youth engagement and innovation at the heart of Buenos Aires 2018 preparations". Olympic.org. Retrieved 14 August 2015. ^ Cesar R. Torres (1 January 2007). "Stymied Expectations Buenos Aires' Persistent Efforts to Host Olympic Games". State University of New York. Retrieved 1 June 2016. ^ Rodrigo Quiroga. "Buenos Aires Sede de los Juegos Olímpicos de la Juventud 2018". Jojba2018.org. Archived from the original on 12 May 2014. Retrieved 29 May 2014. ^ "Venues". Guillermo Dietrich. Retrieved 28 September 2014. ^ "Twenty-nine sport venues for the Olympic dreams of almost 4,000 athlete". Buenos Aires 2018. 2 February 2018. Retrieved 2 February 2018. ^ "#UNITEDBY THE FLAME: BUENOS AIRES 2018 REVEALS YOUTH OLYMPIC FLAME LIGHTING DATE AND JOURNEY OF THE TORCH TOUR". olympic.org. 6 July 2018. ^ Emily Goddard. "Buenos Aires 2018 vows to bring sport to 2.6 million young people in city". Inside the Games. Retrieved 28 September 2014. ^ Rodrigo Quiroga. "Buenos Aires Sede de los Juegos Olímpicos de la Juventud 2018". Jojba2018.org. Retrieved 29 May 2014. ^ Etchells, Daniel (13 July 2018). "Buenos Aires 2018 reveals details of "first inclusive" Opening Ceremony in Olympic history". Inside the Games. ^ "Squash and polo confirmed as showcased sports at Buenos Aires 2018 Summer Youth Olympic Games". Inside the Games. 6 July 2017. Retrieved 13 October 2018. ^ Camps, Fefo (9 August 2018). "El karting será Olímpico en Buenos Aires 2018". ^ "Bhaker leads Indian contingent as Youth Olympic Games opens". timesofindia.indiatimes.com. TOI. Retrieved 12 October 2018. ^ "Buenos Aires 2018 launches official emblem". Olympic.org. Retrieved 23 July 2015. ^ a b "The mascot born in Argentina for the celebration of sport and equality". buenosaires2018.com. Archived from the original on 22 June 2018. Retrieved 29 May 2018. ^ "Buenos AIres 2018 on Twitter". Twitter (in Spanish). Retrieved 29 May 2018. La elección de #Pandi se debe a la combinación entre su nombre científico que es "Panthera Onca" y su relación con el mundo digital. ^ ""Pandi", el nombre de la mascota elegida para los Juegos Olímpicos de la Juventud Buenos Aires 2018" (in Spanish). La Nación. 29 May 2018. Retrieved 29 May 2018. ^ ""Vamos juntos", la canción oficial de los Juegos Olímpicos de la Juventud Buenos Aires 2018" (in Spanish). Infobae. 4 October 2018. Retrieved 4 October 2018. Wikimedia Commons has media related to 2018 Summer Youth Olympics.